Another month, another Look Fantastic Box. How it is already June? Time goes really quick, don't you think? I don't want this summer to end, I have way too many things to do and it's already the middle of June. This month's theme is 'Into the Blue' hence the lovely blue design of the box and decor. 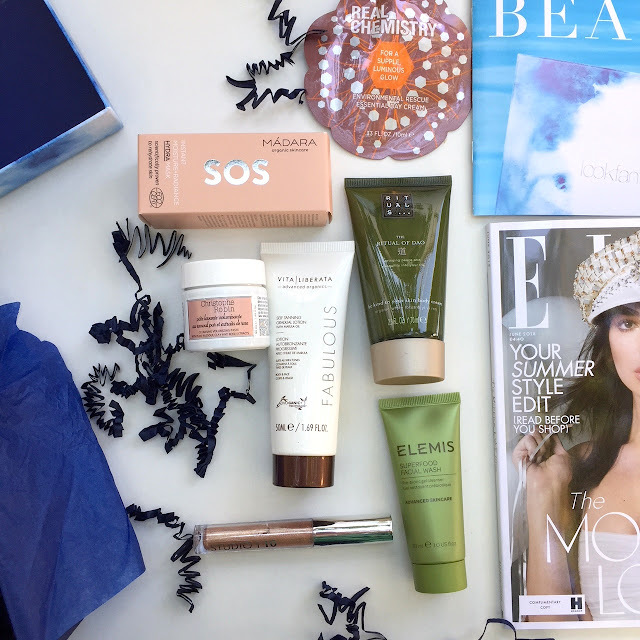 This month is all about products that give hydration, luminosity and how to take care of our skin in the summer months. Madara SOS Hydra Moisture - Radiance Mask - I don't remember receiving a Madara product before in a Look Fantastic box and guess what? It's a mask, I adore face masks and use them regularly. This mask hydrates and rejuvenates skin, its formula is vegan friendly and has a divine soft and powdery scent which I love. 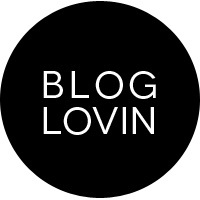 It promises to leave skin soft and smooth, toned and youthful. Friday and Sunday are my pamper days so I am looking forward to try this on Sunday. Best thing about this mask? It can be used as a sleeping mask to wake up with a fresh and hydrated skin. 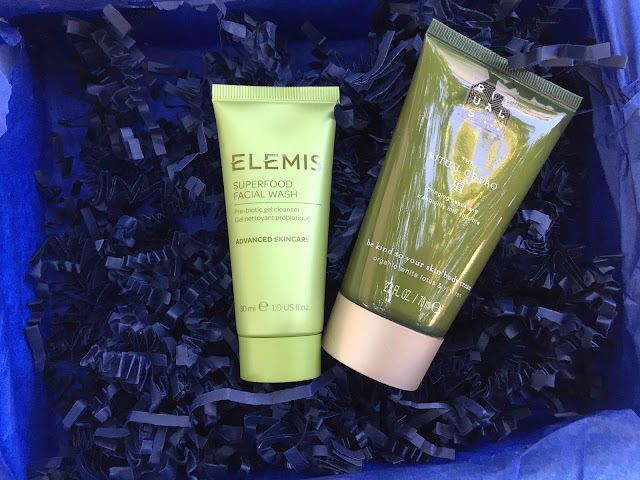 Elemis Superfood Facial Wash - Elemis is a brand I always wanted to explore more, I read amazing reviews about their products. This facial wash is a smoothie of superfoods (kale, nettle, wheatgrass), it removes dirt and impurities and gives skin the essential nutrients to help restore its healthy glow. It can be also used as a makeup remover. The Rituals of Dao Body Cream - combining the gentle fragrance of white lotus with yi yi ren, an ingredient traditionally used in chinese medicine, this reach and creamy body moisturizer nourishes skin leaving it soft and silky. 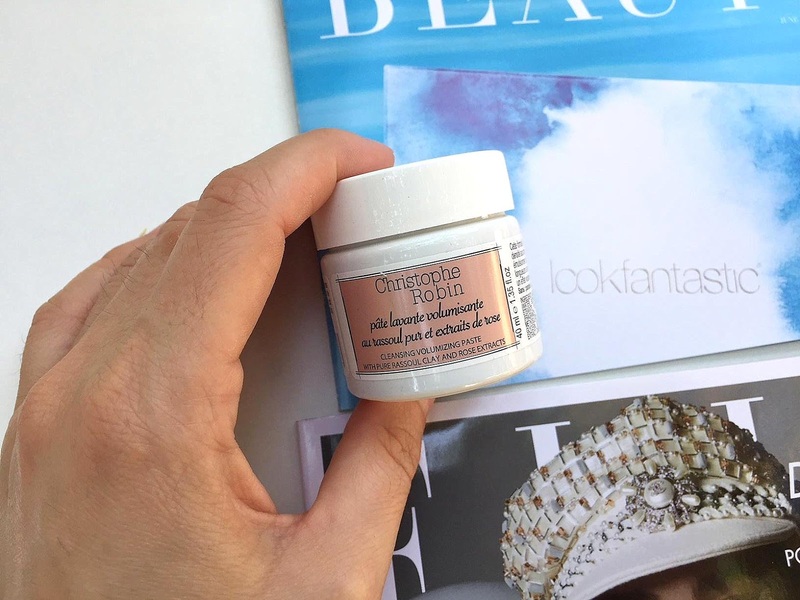 Christophe Robin Cleansing Volumising Paste with Pure Rassoul Clay - I am quite sure this isn't the first time I receive this product in a Look Fantastic box, this maybe the second or third time so this is a repeated product. This paste deep cleanses and nourishes hair, absorbs oil and dirt leaving it super clean. Studio 10 Liquid Foil I-Radiance - this is a glittery eyeshadow that looks gorgeous when swatched on my hand, unfortunately it does not look that great when I apply it on my eyelids and takes a minute or two to dry completely. It supposed to be metallic but it is more glittery. I really love the shade and glitters, I wish it was a better quality. I don't have a link for it since this product is not sold on the Look Fantastic website, and it is so strange to include a product that isn't available for purchase on their website. 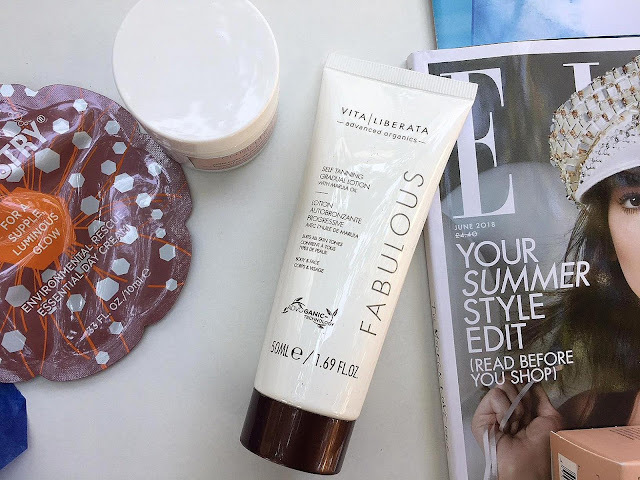 Vita Liberata Fabulous Self Tanning Gradual Lotion - I haven't used a self tanning lotion before and this product gives me the opportunity to do it. 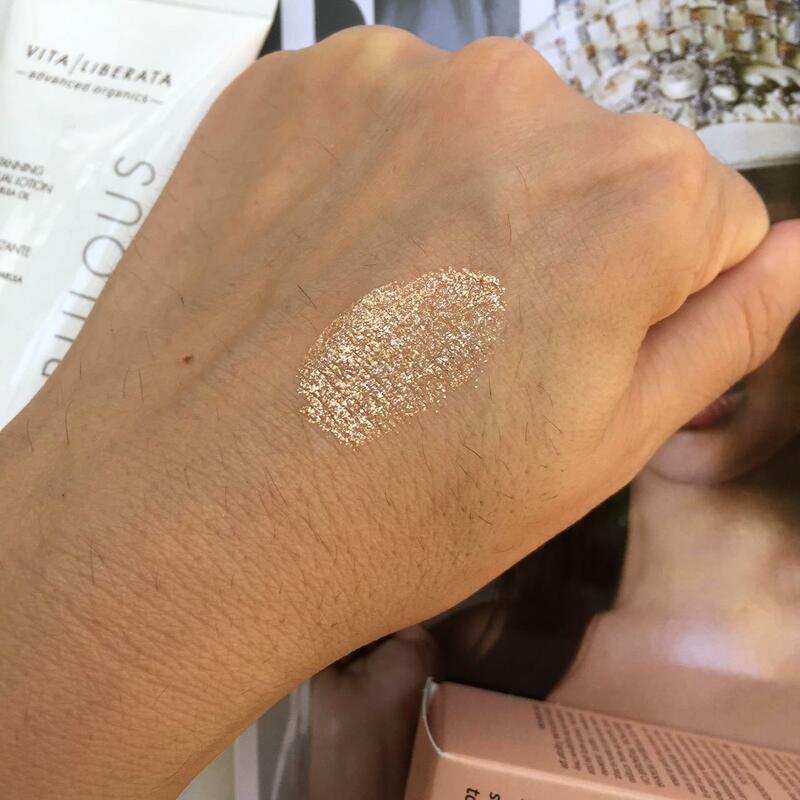 This product has a lightweight formula that doubles as a daily body moisturiser that delivers a subtle color and slowly intensifies. The result? A gorgeous tan. 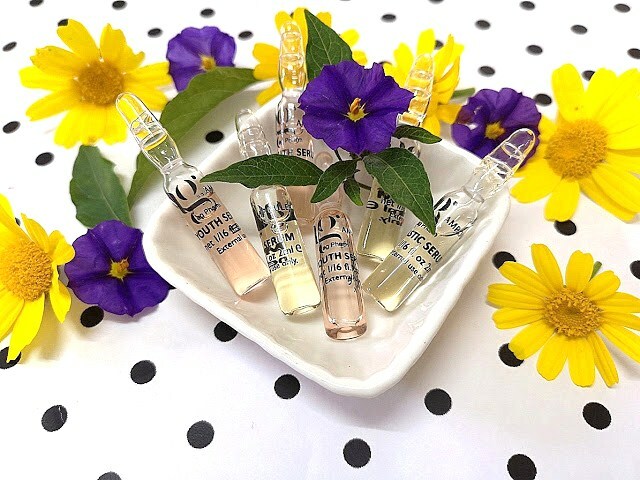 With certified organic and natural extracts, you will have a deeply conditioned and radiant skin. Real Chemistry Environmental Rescue Essential Day Cream - super light formula that absorbs instantly and gives a 12 hour hydration. Providing an invisible armor, this cream gives your skin what it needs to help fight the visible effects of environmental skin damage. Skin is instantly fresh, smooth, hydrated and make-up ready. 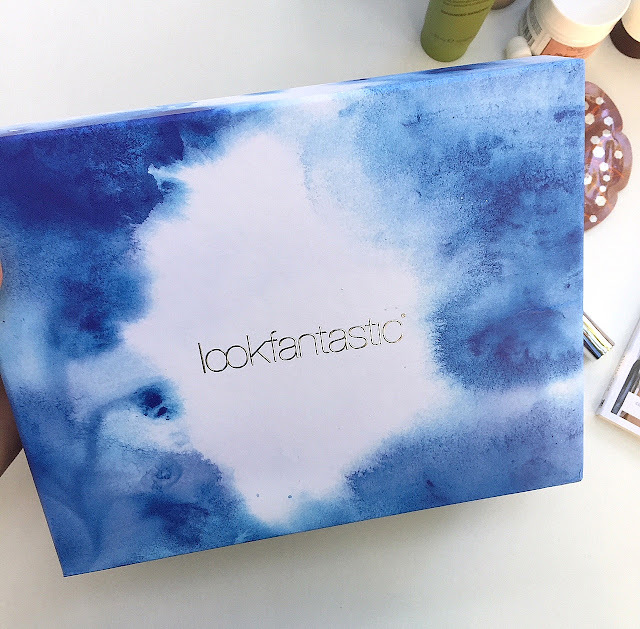 I think this is a great box, I will be using all products, I don't know about the eyeshadow since I am quite disappointed on this one. 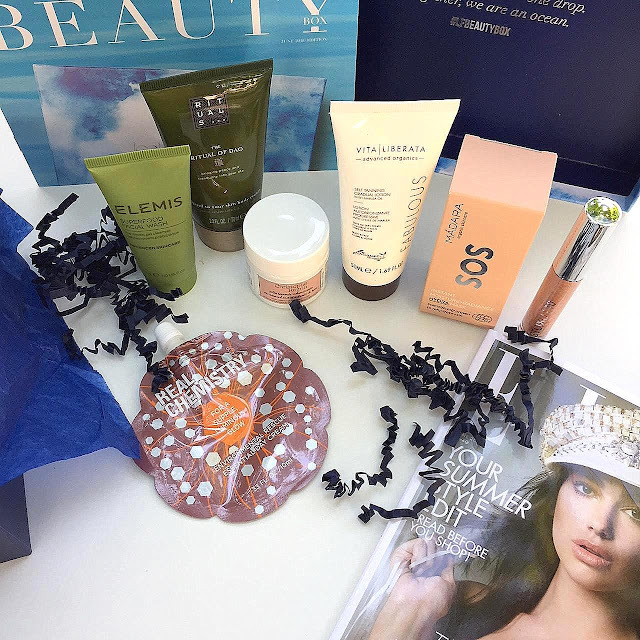 And did you notice that there are 7 products in this box instead of 6 that are always included in the Look Fantastic subscriptions?